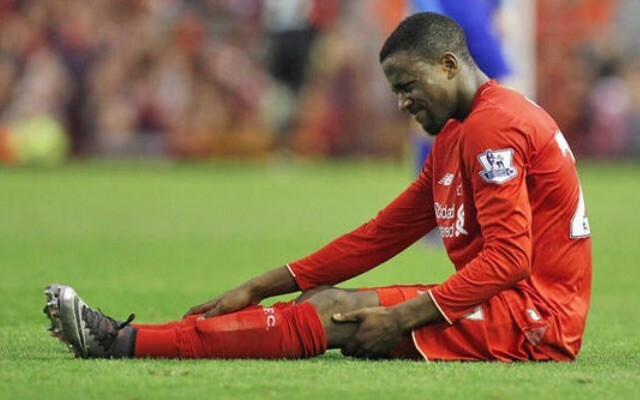 Liverpool striker Divock Origi will not require an operation on the ankle injury which he suffered in this month’s Merseyside derby, according to the Liverpool Echo. The Echo claims that the Belgian international is still expected to be sidelined for a further three weeks, meaning that he is unlikely to play again for the Reds this term. Liverpool’s final Premier League fixture is at West Bromwich Albion on May 15, with the Europa League final three days later if Jurgen Klopp’s side overcome Villarreal. But the fact that he does not need surgery, confirmed by further scans this week as the Echo reports, gives Origi a strong chance of being fit for Euro 2016 this summer. The Echo understands that the 21-year-old should be available for Belgium’s friendly with Switzerland on May 28, and their pre-tournament games with Finland and Norway. Origi had been in excellent form for Liverpool prior to suffering an injury in the 4-0 win over Everton, scoring five goals in five matches to take his season’s tally to 10.